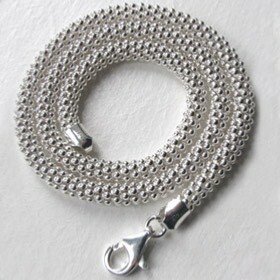 Buy a beautiful silver popcorn chain! 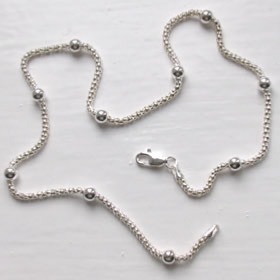 These are Italian sterling silver popcorn chains and necklaces. 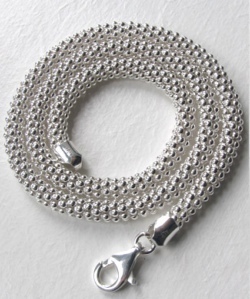 The popcorn chain design is created by wrapping ball chains into a round chain. See the matching silver popcorn bracelets. 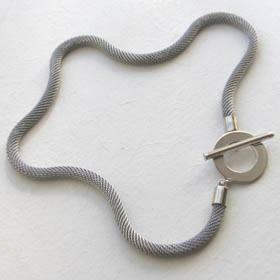 Here you will find a diverse representation of this very popular popcorn chain design.